Head and shoulder studio portrait of Homfray Reece Gibbon, in uniform, showing air gunner brevet and sergeant stripes. On the reverse 'Homfrey Reece Gibbon, Sergeant 1817726, Air Gunner?, 166 Sqdn, Royal Air Force Volunteer Reserve, Died Saturday 29th January 1944, Age?'. 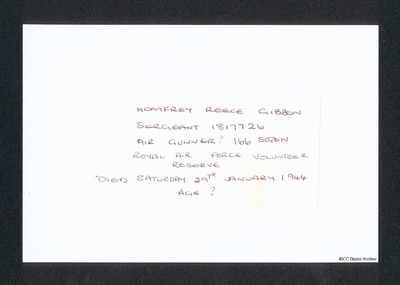 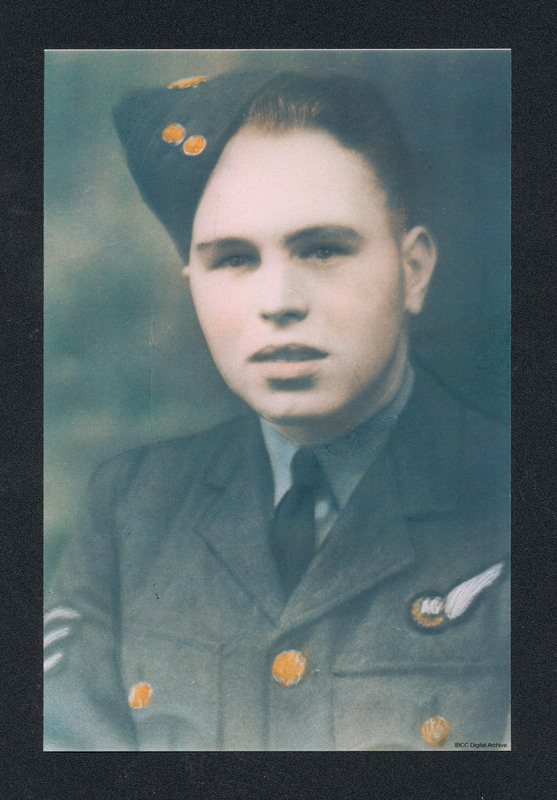 “Homfray Reece Gibbon,” IBCC Digital Archive, accessed April 24, 2019, https://ibccdigitalarchive.lincoln.ac.uk/omeka/collections/document/14899.